Activision has officially announced all of the special editions for Call of Duty: Black Ops 4, as well as the game's post-launch content. First and foremost, the game will launch with two Digital Deluxe editions, as well as one physical Pro Edition. The two former editions include the base game, the Black Ops Pass, exclusive bonus items, and some extra COD points (with the exact amount depending on which one you purchase). 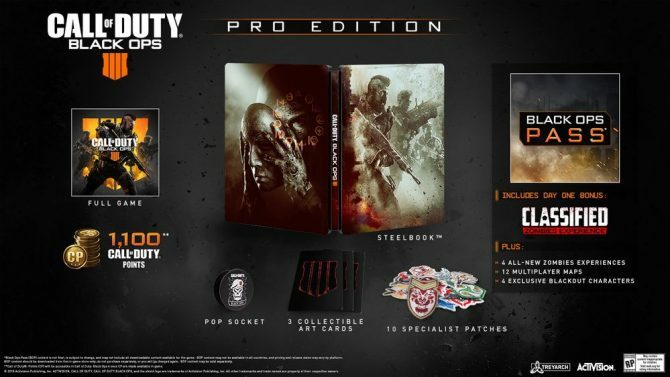 On top of that, the Pro Edition includes the base game, the Black Ops Pass, an exclusive Steelbook, a Black Ops-themed Pop Socket, 10 patches based on the in-game Specialists, three Zombies-themed art cards, and 1,100 COD points. 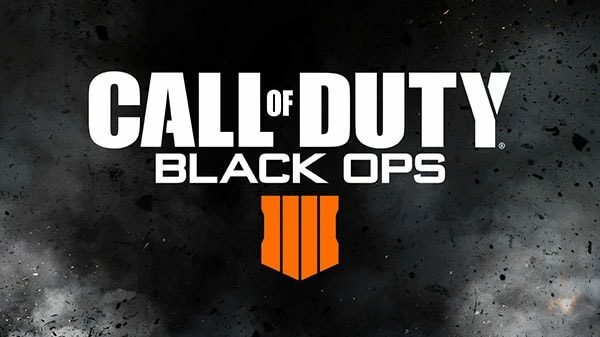 In addition to the special editions, Activision also revealed information about the game’s season pass, which is now called the Black Ops Pass. 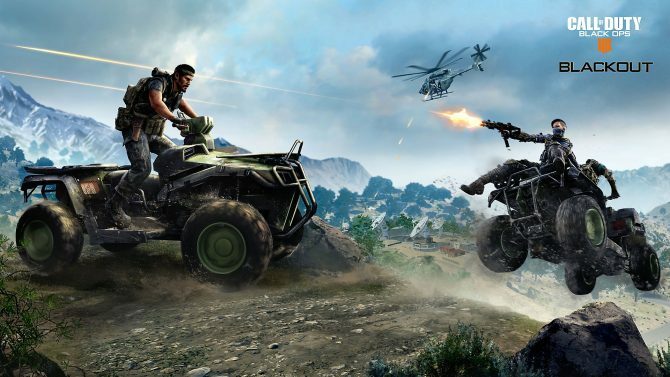 According to Activision, the Black Ops Pass “represents a new approach to post-launch content.” While previous season passes have included four map packs spread throughout the year, Black Ops 4’s post-launch content will be released more frequently, and will include a total of 12 multiplayer maps, one new Zombies map at launch, four new Zombies map, and four exclusive characters for Blackout, which is the game’s take on the battle royale genre. 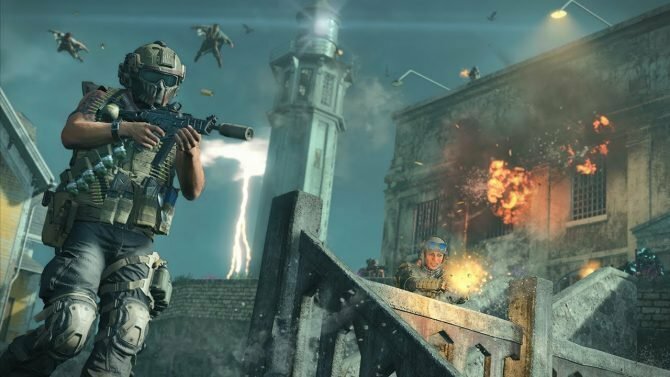 Call of Duty: Black Ops 4 is set to launch on October 12, 2018, and will be available on PlayStation 4, Xbox One, and Windows PC. If you want to pre-order the game on Amazon, you can do so by clicking here.